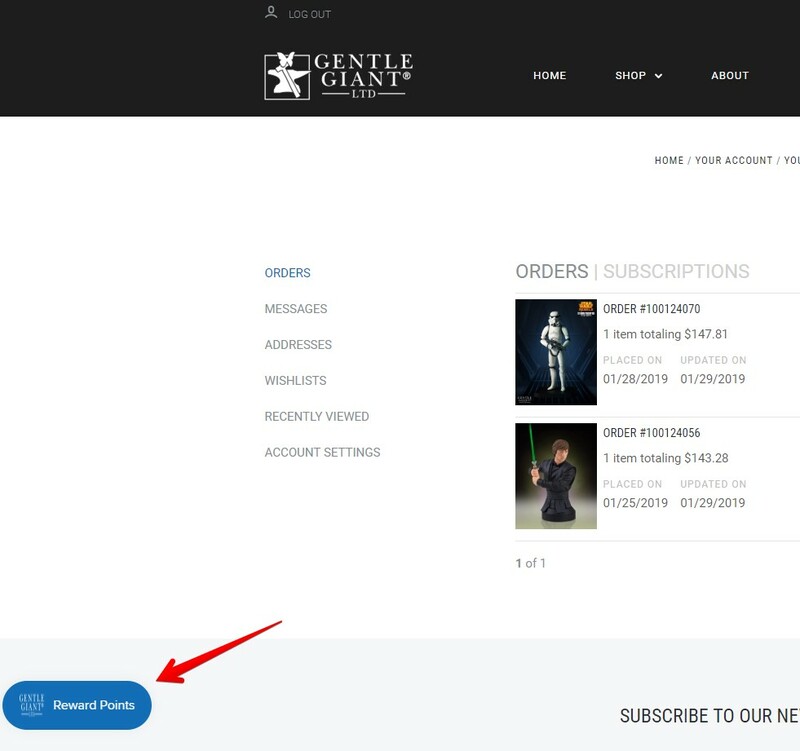 Want to get 50% off anything in stock in the Gentle Giant Ltd. webstore? Read on for the secrets of savings! 1. 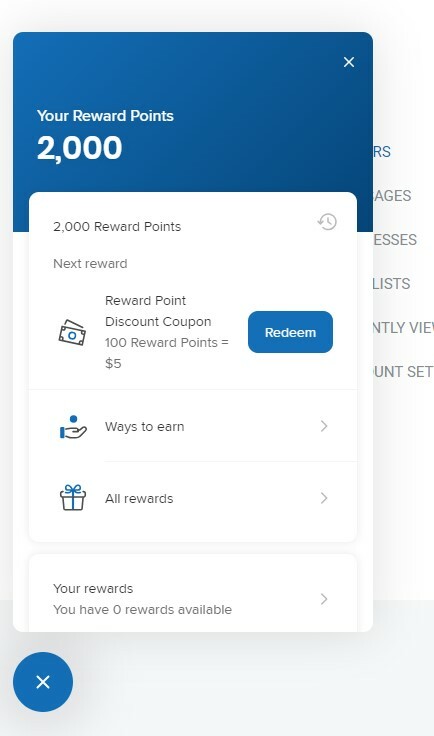 Log in to check out your Reward Points balance. Click on the blue box in the corner to see them. If you don't have an account yet, create one and get points right away! 2. 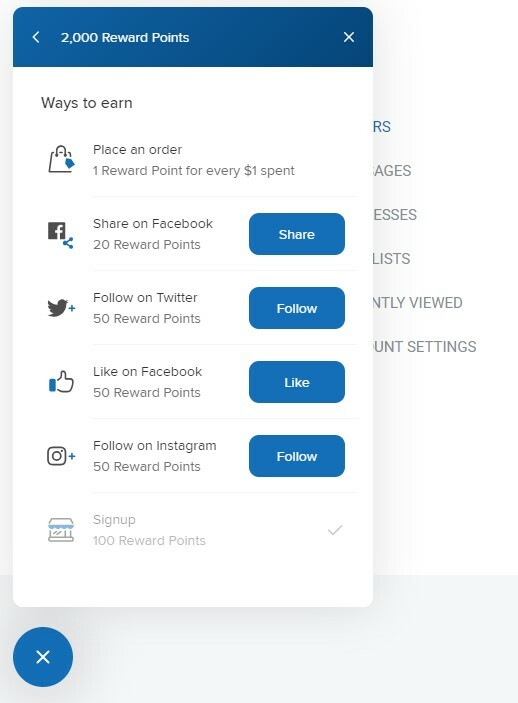 You'll see your Reward Points balance, redemption options, ways to earn and "All Rewards." 3. Earn more Reward Points by following and liking GG on Facebook, Twitter and Instagram! 4. 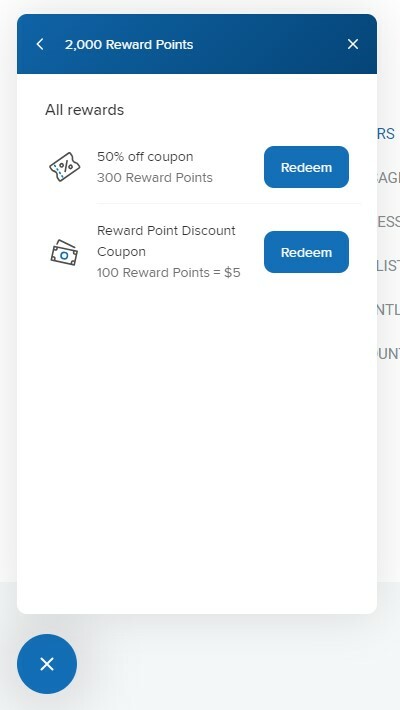 Under "All Rewards," Select the 50% off Coupon, for 300 Reward Points. Then go crazy!